Unlike other ecigarette starter kit, this iStick Pico Kit is a powerful vaporization kit, providing 75 watts high power output! This kit a perfect combination of iStick Pico mod and Melo III atomizer or Melo III Mini atomizer. Multi temperature control modes you can enjoy on it, also attractive color options available. 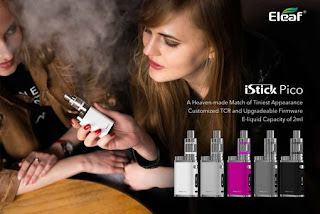 A great deal: just $48.9 for this fantastic kit on official authorized online store istick.org!